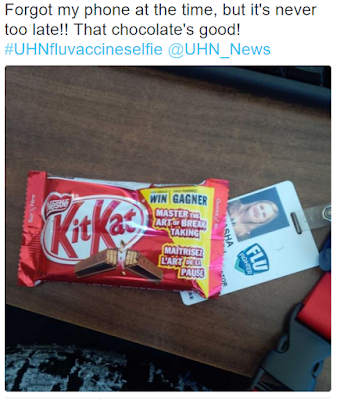 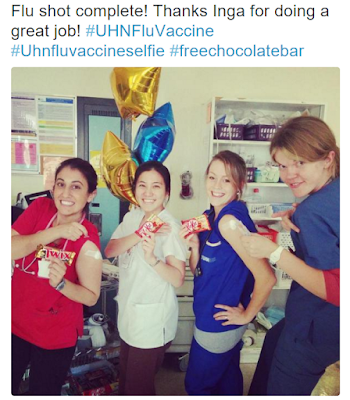 Post vaccination lollipops for kids may be one thing (though are clearly debatable), but do fully grown adults, adults who are physicians, nurses and other allied health professionals, really need to be rewarded, let alone with a chocolate bar, for getting a flu shot? 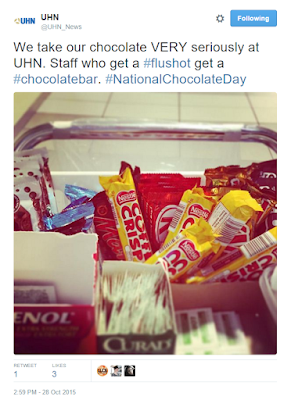 Toronto's University Health Network hospitals clearly think so. As a whole, society needs to be striving to provide fewer opportunities for the consumption of junk food, not encouraging and permitting more, and who better than hospitals to be leading that charge?